The 4th Regiment of the Ohio Volunteer Infantry was organized at Camp Jackson and moved to Camp Dennison near Cincinnati on May 2, 1861. Since my relative, Major Albert Greene Longwell and several eastern Delaware County men served in this Civil War unit, I’m going to discuss some of their major campaigns. After organization and a few days training, the unit moved to Grafton, Virginia (now West Virginia), where they were part of the 3rd Army of Occupation. The unit captured Beverly, Virginia that was held by the Confederates and then continued duty in western Virginia. In January 1862, the unit became part of the 2nd Brigade of the Army of the Potomac. In March 1862, the 4th was part of the 2nd Division of the Department of the Shenandoah. On March 23, 1862, the unit participated in the Battle of Winchester (Virginia) and on June 9, the Battle of Port Republic both in the Shenandoah Valley. Fort Monroe. 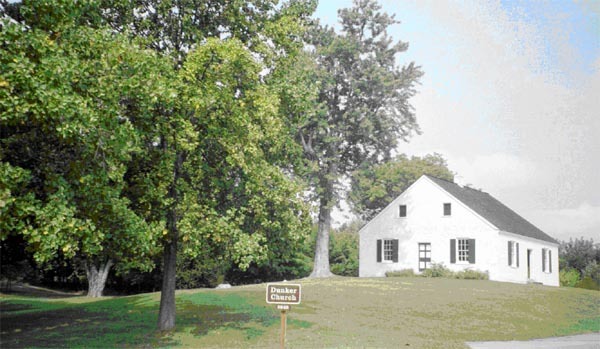 Next the 4th Regiment covered Pope’s retreat from the 2nd Battle of Bull Run near Manassas, Virginia. 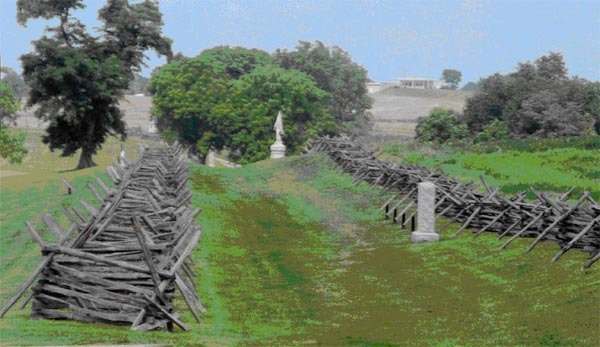 In the Maryland campaign, the unit fought at the Sunken Road in the Battle of Antietam. From there they covered Lee’s retreat from Harpers Ferry and served there until October 30, 1862. Dr. Albert Longwell saw and repaired damages of the above Civil War battles with the 4th Regiment from August 29, 1861until October 20, 1862. At Harpers Ferry, Virginia (now West Virginia), Dr. Longwell fell from a horse and twisted his spine that pushed against his bowels causing diarrhea. On November 10, 1862, he was honorably discharged and came home to Delaware County, Ohio to repair his injured body. While working on my Eastern Delaware County Civil War Soldier List, I also found the following soldiers served in the 4th Regiment along with Dr. Longwell: Truman Beard, Henry and Thomas Stark, William Browning, Albert Carmichael, E. H. Chase, John McMahon, Simon and Wesley Roloson, John Q. Roberts, and John Stickley and possibly more. Captain Elijah B. Adams was wounded at Harpers Ferry and discharged January 30, 1864. Simon Roloson was killed in action. Isaac Siegfried died of typhoid fever in a hospital in Cumberland, Maryland. Joshua Breyfogle of the Delaware Guard and his son, Willie, were in the 4th Regiment with the above men. Some of Joshua’s letters to his wife were from Camp Pendleton at Winston, Maryland where the 4th Regiment was stationed. Joshua was discharged in November 1862 although he reenlisted in the 10th and served in the entire war. Some of the men of the 4th Regiment, without Dr. Longwell, went on to Leesburg and Falmouth, Virginia and served in the Battle of Fredericksburg, the Mud March led by General Ambrose Burnside, and the Battle of Chancellorsville (Virginia). Corporal George B. Torrence was colors bearer when killed at Fredericksburg on July 13, 1862. A marker for him in Sunbury Memorial Cemetery. The George B. Torrence GAR post in Delaware, Ohio, was named for him. On July 1, the unit was in southern Pennsylvania where they fought at Cemetery Ridge in the Battle of Gettysburg. Willie Breyfogle was severely injured at Gettysburg. The 4th Regiment then pursued General Lee and his men into Virginia. 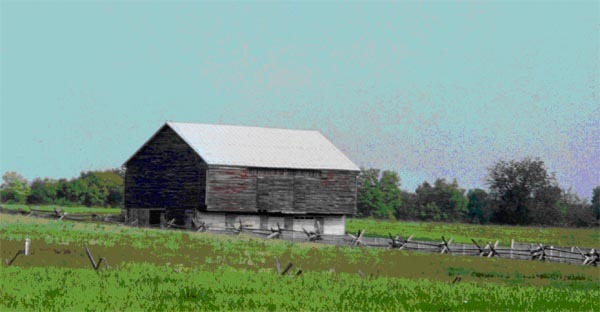 From March 28 through April 9, 1865, the unit fought in the Battles of Deep Bottom, Ream’s Station, Hatcher’s Run, Appomattox Court House, and the Battle of Sayler’s Creek. From there the 4th Regiment went to Washington, D. C. and participated in the Grand Review on May 23,1865. It was back to Columbus, Ohio where the remaining soldiers were mustered out on July 12, 1865. According to the 1890 Veterans Census in Bledsoe County, Tennessee, Jonathan S. Ward of Company D, 4th Regiment, Ohio Volunteer Infantry, enlisted in the service on June 25, 1861 and was discharged on June 28, 1864. He was shot in the left hip and thigh and could no longer serve. His address in 1890 was Sampson, Tennessee. Another injured Ohio soldier resided in Sampson in 1890. Private Samuel C. Hemptull, Company A, 30th Infantry entered the service in 1861 and was discharged in 1864 because he got shot in the leg. Still another Ohio soldier from Company C, 4th Regiment, Private Oscar Wilson who entered the service on July 14, 1863 and was discharged on February 22, 1864, remained in Brayton, Bledsoe County, Tennessee as reported on the 1890 census. Evidently those soldiers did not return to Ohio after the war. Monuments to the 4th Regiment of the Ohio Volunteer Infantry are located at Antietam Battlefield in Maryland and at Gettysburg Battlefield. Private Joshua D. Breyfogle, (1806-1868) Ohio, enlisted at Camp Dennison May 20, 1861, Company C, Delaware Guards, 4th Regiment, OVI, discharged at Harpers Ferry, VA on November 5, 1862, reenlisted in 10th at Camp Chase in 10th Regiment Cavalry, served at Nashville, Tennessee, Murfreesboro, Sherman’s campaign in Atlanta and march to the sea. Was in Battles of Chickamauga, Tunnel Hill, Atlanta, Waynesboro, Georgia, to South Carolina, North Carolina, buried in Oak Grove Cemetery, Delaware.